I was born and brought up in Kanpur. I was very fortunate that my parents provided for my education in reputed schools in the city which has added to my skills and personality. I am a software engineer by profession and a silver medalist in my college. I have served IBM India Pvt. Ltd. in this capacity for 3 years and 11 months. The technical nature of the job which required solemn and profound thinking did not quite match my skills as an outgoing extrovert always keen to interact with new people. I had a knack for administration and my friends would suggest me to go for an MBA degree. Personally I did not believe in an MBA and while I was contemplating on how to take my career ahead I delved into the finer aspects of life. I thought that the one life which we possess should be dedicated to the benefit of maximum people and not in selfish pursuit of money. I viewed money as a means to a greater end. With this sense of mission and wanting to pursue a path in which I could utilize my abilities to the maximum I chose to give Civil Services Examination a try. Fortunately, I was able to crack it in my first attempt. I take it as a sign that I am on the right path of my mission. Q. In recent times, there is spur in electronic material- blogs, sites, pdfs, RSS-feeds. Many aspirants feel bogged down by this information overload. So, how much do you rely on electronic material and how much on the paper material (Books, newspapers)? If possible narrate a typical day in your studylife. Yes, of course there is an explosion of knowledge, but it has to be balanced by an explosion of wisdom. It is not humanly possible to devour all the information available. One should believe that whatever he/she is able to study is the best resource for him/her. Striking a balance between paper material and electronic information is crucial. Newspaper editorials are well thought of and cover multiple dimensions. For me, YouTube videos on topics like World History and Science and Tech have been of immense help. A typical day in my life would consist of two classes. 9:30am to 1:00pm for General studies and 2:00pm to 5:00pm for Sociology. Tired by the end of it I would sleep till 7:30pm and by the time my newspaper finished it was already 10pm. I tried to squeeze in every little chunk of time I had, to revise previous day’s class notes or even research for information which I was unsure of. I liked to cross check what the teacher taught in the class (just to be sure ;)). Also I used my smartphone to best help me in my studies. Be it planning, Wikipedia, blogs or random Quiz apps. From 10pm to 2am, I tried to put in more value in each hour I studied. So, if you see the number of hours, they were hardly 5-6 hours a day. But to feel good I took my class time also as hours of study and would make sure I sat there with 100% concentration and not loiter around as a back bencher. On days when there were no classes, I aligned my target to the test series dates and made it a point to excel in them. In this way, (a)I would be prepared for that segment and (b) good marks would also boost my confidence. To achieve a big goal we have to break it down to smaller and more concrete action plans. First and foremost would be the sense of mission. When you sincerely believe that all these efforts and toiling is not for your own self but for a larger cause, then the strength to deal with mood swings automatically wells forth. Also for me a few role models really worked. 2012 Rank 18 Tanu Priya whose interview Mrunal also published was a source of inspiration for me. She cracked it in her first attempt and something inside me told me that I could do it too. Being sad and dejected and doubting oneself is absolutely normal. One technique is called journaling whereby you write down all your fears on a piece of paper and tear that paper afterwards. I would start with my fears and end with reminding myself of the mission which lies ahead of me. (more and more writing can also help in your answer writing ;) ). Also, you discover yourself in the process of this exam. When it has to be studied, why not do it joyfully than to crib about it and put yourself through immense pain. I took my prelims exam along with my job. I took my teammates and manager into confidence and told them about my plans. I also took weekend classes which would virtually go on for the entire day. On weekdays I would try to study atleast 1 hour in the morning before office. I involved in discussions with my colleagues on topics of general awareness. The tea time gossips were replaced by GS questions and this way I combined office fun with my studies. Very soon, I resigned and my major preparation came during my notice period. Study along with job is not impossible as earlier thought to be. Besides, earning also gives a sense of self worth. When you are absolutely sure of yourself and can live off your own money, then leaving a job can be worthwhile. At all times think to yourself what a great sacrifice you have made, study so hard so as to surprise yourself and make sure to use each hour wisely. Byju class lectures by Mr Tariq Mohd. Atlas (yes, atlas). The last few pages have historical maps of India. It helps visualize the extent of various kingdoms. Byju class lecture by Mr Tariq Mohd. Bipan Chandra notes of a friend (did not have time to read the entire book). Read it now after exams and it is worthwhile to read if you have time. Current – newspaper Polity events is helpful to link theory to the real world. YouTube Videos to clarify many concepts specially of volcanism, plate tectonics, wind systems, eclipses, phases of moon, equinoxes etc. Many times I see people trying to be 100% accurate, so they attempt only those questions of which they are sure of. This way they end up attempting 50-60 questions out of 100 in Paper 1(GS) and lose out. A teacher once said and I took that to heart, no matter how sure you are of your answers minimum 20 will be wrong in GS and minimum 10 will be wrong in CSAT. I strategized accordingly and attempted 85/100 in GS and 78/80 in CSAT. Taking educated guesses might be worthwhile, but practice this strategy in your mocks before attempting in the final exam. Q.Any observation / comments / tips about GS Aptitude 2013 paper. Practice, Practice and Practice. Its about accuracy and SPEED. The questions are easy but it is easy for all. Do not become complacent that just because you are an engineer you can do it without any practice. Yes I did attend Byju’s test series. The questions were of a higher level of complexity but gave me the confidence to be able to solve the actual questions in the exam. One should practice CSAT paper even if you do so from the question papers sold in market. I did Career Launcher test series in this way. I practiced 2-4pm every day for the last 15 days so that I am in the momentum on the D-day and also to condition my mind to operate in the afternoon because normally it was a sleeping time for me. ‘Muhavre’ in Hindi – questions directly repeated from previous years. Make sure you do your homework on the same. For non-English speakers, English papers with its 2 essays and 2 precis and comprehension and grammar can be a bit lengthy. If you are not very comfortable, then try practicing once a week. (Solve 1 model paper a week). For regional paper, Hindi – I found it to be the toughest exam and definitely very lengthy. Writing in regional language gets very tough and we find our speed reduced. (especially if one is from English medium). Practice is the key word. Try to communicate purely in the regional language without using English words. It gets really challenging because we do not even realize how much we are used to speaking in Hinglish nowadays. For Essay, I regularly wrote on a few broad topics and got them evaluated from professors/academicians/coaching teachers/friends. I was good in creative writing as I also have a habit of writing a daily diary. However, during the civil service exam essay preparation I realised the importance of forming a structure before jumping into the actual content. Many a times we think of writing impromptu. But in an essay of 1500 to 2500 words this strategy is almost bound to fail. Lack of structure in an essay results in a writeup which is a haphazard mashup of random thoughts rather than a clear and mature organic idea. Also, initially words would not flow from my pen and I would find myself at loss for appropriate vocabulary. Two key points for essay are to enhance one’s knowledge base of ideas and also translate those to ideas to the actual essay by consistent practice. I wrote on (1), Be the change you want to see in others. I knew it was a risky topic to write on as there can be multiple dimensions and thought processes around this idea. But I believed so much in this thought that I was bound to write on it. I practice Buddhism whereby we talk of the concept of ‘Human Revolution’ which essentially means how a great revolution in the life of a single individual can bring about a change in the destiny of entire humankind. I would ponder on the lives of great leaders and think that at times of crisis how individuals have changed the course of history. Individuals have taken masses alongwith them. This very idea also prompted me to take up the civil service exam. I tackled the essay on three levels- how change in an individual can better his/her own life; how this change can lead to better relations between members of a family which is an integral part of a society; and how better families can lead to more progressive nations altogether. I wrote a lot of quotations appropriate to the thought I was conveying. role of women, poverty etc. comparing Constitution with world Chronicle class notes –Focused on US, UK, Switzerland. bilateral/global grouping Use Wikipedia and also the Group’s own website for IBSA/SCO/BRICS/ASEAN/SAARC/G4/G8/G33 etc. effect of foreign country policies on Indian interest Suggest to read Shashi Tharoor’s book Pax Indica for an objective analysis of relationship of India with other countries. international bodies- structure mandate Read Pratiyogita darpan special edition simply for the lack of time. If you have more time, suggest you to read on WTO/IMF etc. Budgeting Asked a friend from Public Administration optional to teach me this topic. major crops, irrigation GKtoday Notes, Focus more on cropping pattern- like combination of crops grown together rather than what we read in geography. 12th Five year plan – concept of land banks, new titling policy etc. How many thinkers did you prepare? I focused on the qualities of these thinkers rather than learning about each of them. Sociology class also helped to prepare quite a few thinkers. Chronicle had provided a handout which was essentially a summary of IGNOU notes of the same topic. I read those a couple of times. Any other comments, word of wisdom after going through the mains-2013. Crisis of conscience: I wrote about a real life incident I faced. In the PG I lived while working I saw that my landlords had employed a 14 year old girl for domestic help. Though legally she is allowed to work, I felt sad at a lost opportunity. I asked her if she was interested in studies but she refused. She spoke kannada and it was tough to interact. So I took the help of my landlord’s 5 year old daughter. She would do the translation. While there was a crisis of conscience on the part of the landlord, her small daughter was the opposite. I told her to take care of the girl while I left for Delhi. I wish I could do more for her. I think in ethics I wrote my theory answers better than my case studies. I have already filed RTI for my answersheets. If I luckily get them I will share them with you for sure. 6: Narrate one incident in your life when you were faced with such crisis of conscience and how you resolved the same. The space provided was enough for me to fit in all my answers. In many cases I found that I left and entire page blank as my answer was smaller than the space provided. Let this not panic you if you have small handwriting. On the other hand I would suggest writing in a bigger font considering the age of the people who are going to evaluate your answersheets. Also the time restriction and the number of questions do not allow to elaborate on a single question for a considerable length as it would be at the cost of other equal mark questions. Frankly speaking, being a first attempt candidate I did not have a plethora of information to be able to write my entire answer in point format. But my belief is that a good paper is one in which the examiner takes least amount of time to correct (afterall he/she is getting a fixed amount for each paper). Your paragraphs should be concise and crisp stating a single idea. Paragraphs should be well spaced and the answer sheet should look neat enough for the examiner to want to read it. Also during the course of my preparation someone told me that paragraphs represents maturity of thought. I pondered on how all good literature was in prose format and thus chose this style of writing. I also believe that simply stating facts do not give any value addition to the answer. While it is important to mention the facts, it is equally important to handle various dimensions of your answer and write something different which makes your answer unique. Think of yourself as an evaluator and drowned in a heap of answersheets, what is the type of answersheet which would seem like a whiff of fresh air. Make sure your answersheet is one such. In a way , I did follow this format, though unconsciously. I made sure that my first line was interesting enough for the evaluator to want to read further. And after I had his/her attention, I would narrate my points (whatever came to my head in those 7-8 minutes). I planned my paper in a way such that I finished each paper 10 min early. (30 min early in case of ethics). From the very first answer I would write with a thought that what if my paper did not finish on time. I planned 10 questions for the first hour, 8 for the second and 7 for the third hour. In this way, I found spare time which I used to beautify my answers by adding an appropriate conclusion which beautifully summed up the requirements of the question. As for me, I attempted all the questions though I did commit a couple of blunders. But my belief was that even if my answer is super bad, I might end up getting 1 or 2 marks for that. I know of people who left 7-8 questions saying that UPSC wanted us to choose, but I also saw those candidates not getting selected. Skipping 1-2 questions where you are absolutely not sure of your answers is the maximum I can suggest. 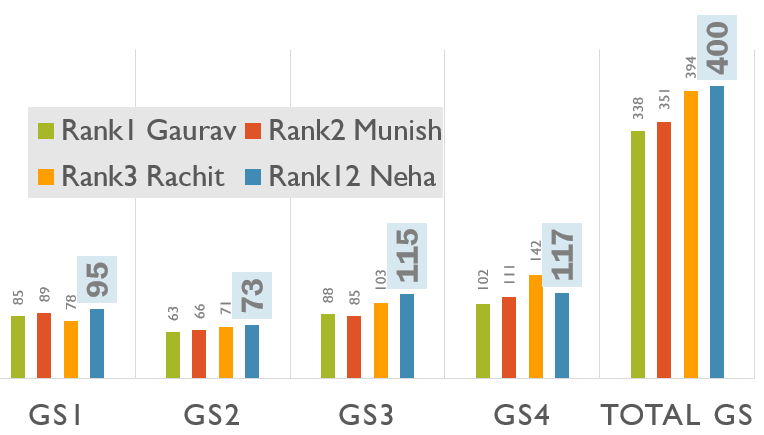 Mrunal comments: In General studies paper, you’ve higher marks in than Top-3 rankers. So, this strategy (along with your sincere preparation) indeed worked. I am a person who loves to use colours in answers. But with UPSC I thought I would not take a risk. I used a pen and a pencil for underlining key points. Yes, I did draw a couple of diagrams for Geography – e.g. the question on heat island and that of rainfall on the eastern coast of continents. I used a pencil to draw diagrams. Free hand. No time to use a ruler. Time is everything in the exam. Also those of you who like to write with ink/fountain pens, please resist this temptation in the exam. You never know if your answers get washed out in the long transit of the exam paper or may be the ink fades with time. If however, you should write with a fountain pen, I suggest you use a permanent black ink and check that on your mock papers. My research has suggested that Noodler’s black ink is fairly good. It is expensive, but if you can afford an expensive ink pen, you can surely afford an expensive ink. The conventional book suggested is Horlombos (there is confusions regarding the big book or the orange book abound). I purchased the small orange book but could not read more than 1 chapter (Lack of time). I also used Sociology by Anthony Giddens (6th edition). This is an interesting book and I would flip across its pages when I would not feel like reading anything else. But more than all these books, I relied on Vajiram Mahapatra sir’s class notes. I made my own notes based on what sir taught in the class and took these notes to be my Bible. P.S. : If you have time, please read either of these books. These are wonderfully written and expand your understanding of the subject. Q2. How much of internet-research / current affairs is necessary for sociology optional? OR can one simply rely on the books and be done with this subject? Relying solely on books can be dangerous. The optional subject is not meant to check one’s academic knowledge of the same but the application of that subject in daily life. At the same time it is essential to also write about relevant content/thinkers/scholars on a particular topic. Your answer should strike that balance between theory and practical real life examples. I would check Wikipedia of all the new thinkers which sir introduced to us in class. (even the insignificant ones not mentioned in the syllabus), I would take a mental note of their prominent works and then use it appropriately as per the demands of the question. For example Thurstum Veblen gave the concept of Veblen goods( to be used in study of inequality). C Wright Mills spoke of Elite Theory in context of US and he also spoke of bureaucracy. In Paper 2 of sociology which deals with Indian aspects, it is essential to enrich one’s answers with real life examples. I used to read newspaper stories with an alertness to be able to map it to my sociology syllabus. Earlier Hindu published the Periscope (Delhi edition), I found it very interesting from a sociology viewpoint. I started my Sociology classes only after my prelims exam (in June). So I followed the class schedule to finish my syllabus. Would revise my class notes daily and also discuss the lecture with friends(in the free time before class) to be able to retain it better. It tooks around 4 months to finish the syllabus from scratch. The rest of the two months were devoted to revising and re-revising my notes, making shorter notes of the same and writing answers for the test series. Answer writing practice for me was limited to the 4 tests which were a part of the Vajiram test series. I made it a point to attend the test discussions and see what value addition could be done to my answers. But, as I have told earlier, my academic background lends me good writing skills and in case you are not so fortunate, I suggest you practice writing a lot before the actual exam. Definitely. I truly rely only on my short term memory. Last day cramming is paramount for me. During the last few months of my preparation, the only thought in my head was how I would revise the entire thing in a day. I made crisp notes of every lecture such that by the end of the syllabus, I had 25-30 pages for each paper which I could quickly revise before my exam. The questions of sociology were easy as most of the previous years. The choices were the same as previous years papers. But paper 2 had a lot of questions whereby one could yield to the temptation of writing GS-style answers. Its important to keep a sociological viewpoint while writing these answers. Preparation of all aspects of DAF (Detailed Application Form) is of paramount importance. These include your home city, state, school, college, graduation subjects, job details of any. DAF is the only predictable document that one can prepare for the interview. I used to believe that since interview is a personality test, no preparation for the same should be done as personality should be one’s natural self. But realised that without sufficient information to equip oneself the answers sound superficial and preparation for interview is crucial. Also newspapers should be read from a different perspective and political news which we normally skip for mains can be asked in some way or the other. Yes, since it was my first attempt I did not want to take any chances. Hence I enrolled for a couple of mock interviews and also spoke to a few retired/serving bureaucrats. I enrolled for Samkalp Interview Guidance and attended a couple of Byju mock interviews. My ethics teacher Mr. S.K. Mishra (Retd. IAS) was a constant source of motivation. Q3. What did you wear? I wore a cream cotton sari. For guys, I would suggest that coat is optional and considering the sweltering heat I found very few candidates in a suit. Although, a necktie was a must. I stayed in my hostel where I have stayed during the course of my preparation in Delhi. No revision before interview, just flipped through the morning newspaper. I gave my all to my technical job. I even worked as a part of the Corporate Service projects of my company. But nothing could match the satisfaction one receives in directly serving the people. My personal belief is that each individual should be in a place where they serve their best. So if you are an excellent programmer or doctor, I would suggest you to stick to your profession. But if you believe you have a knack for administration and an eye for the bigger picture more than the details, then you should try your forte at this exam. Me: Good Morning Ma’am, May I come in? CM: So you paint. What medium do u use? Me: Ma’am, I use water colours. CM: So what is unique about water colours? Me: Ma’am, The finality of the strokes, there is no scope of a re-do, we actually paint with the coloured water. The excellence of the brush strokes is what I like the most. CM: What is that one thing about water colors?I used to draw but I have never been able to do watercolours. CM: It’s the patience required to let the paint dry. (Didn’t really agree with her because oil paints require much more patience, and frankly the water colours are a lot quicker. But I avoided any arguments at this stage). CM: Do you follow Tour de France? Me: No ma’am not much. (I knew about the Lance Armstrong story but not any further so I preferred to keep silent on this topic). M1: India and Pakistan have a very troubled relationship. What are the reasons you think for this? And the second would be the ceasefire violations in the past year along the Line of Control. M1: So what is the whole issue about Jammu and Kashmir? Can you elaborate? M1: And what could be Pakistan’s interest in J&K? M1: Neha, you have opted for Sociology. Tell me what do we study in the discipline as such? Me: Sir, The discipline of sociology speaks about 3 main things. 1. The interaction and influence of institutions with each other. e.g. how the institution of religion affects the institution of politics. 3. The interactions of institutions with each other. M1: Very good. Can you think of any prominent Indian sociologists? Me: Sir M.N. Srinivas, G.S. Ghurye and Andre Beteille. M1: Can you think of some predominant theory of M.N.Srinivas? Me: Sir, the most prominent theory of Srinivas would be the theory of Sanskritization and Westernization. Me: Sir, there are 2 hierarchies- The ritual hierarchy and the secular hierarchy. When an individual belonging to a lower position in the caste hierarchy achieves economic success, he moves up the ladder of secular hierarchy. But, in an effort to move up the ritual hierarchy, he emulates the behaviour, rituals and customs of the higher caste. Me: No sir. I think in the current context people are content with climbing the secular hierarchy. And also with the concept of vote bank politics and reservations, Sanskritization is not as relevant today. M2: What is Buddhist view on God? Me: Sir, Buddhism neither accepts nor rejects the existence of God. The main concern of Buddhism is alleviation of human sufferings. It’s perception of God can be called agnostic. M2: So you are from Kanpur, it was once a very famous city but now it has its set of problems. What are your views on this? Me: Sir, as you rightly mentioned Kanpur which was once called the ‘Manchester of the East’ has now reached a level where some scholars call it the ‘graveyard of industries’. But I would want to draw your attention to the positives of Kanpur – it is true that the large mills have been shut down but the medium and small industries are flourishing in a big way, the education industry is booming, The Kanpur Metro project is upcoming and IT companies including IBM are opening their offices in Kanpur. So there is a lot of scope for the city to revive. M2: So if you are made the administrator of Kanpur, what will you do to revive the city? Me: I would identify and take steps to revive the sick industries, would give impetus to the ones which are upcoming. I shall take steps to create more jobs in the city to prevent out-migration so that the youth population stays and the city grows and matures along with its youth. M2: Neha, you have taken sociology and you have been a technical person otherwise. Man’s life is increasingly becoming privatised, what is the role of technology in it, the access to all sort of information etc.? Me: Man is indeed becoming privatised but in the quest to communicate he gives out his information to facebook and the like. To the extent that even when one opens a TV channel, the set top box is capable of transmitting information of what one is viewing. Some sociologists have gone to an extent of saying that all this amounts to public sphere i.e. the state’s encroachment into the private sphere domain. M2: What I meant was the effect on children with access to information of all types? Me: Yes sir, as you rightly pointed out that no parent would want their children to be exposed to the amount of information which is available now. And a district collector being a parent of the entire district is certainly more concerned. M2: So, how will you monitor that? Are there any laws around the same? Me: Sir, I am not sure if there are any provisions under the IT Act. Me: No ma’am, I cannot think of anything else. M3: So you do a lot of Trekking? Me: Sir, I have done a very small trek to Lohgarh. M3: What are the things required for a long distance trekking. Sir, may be a hand towel, a water bottle. I cannot think of anything much since I have done just one small trek. M3: Continuing with India Pakistan, there is a constant tussle between the two and each other draws from the other’s strength. What do you understand? At this point I turn a little blank and M2 points out that conflict leads to cooperation..sociology etc. M4: You have written ‘pursuing Buddhist Philosophy’, how do you pursue? Me: Sir, I chant morning and evening. M4: Have you visited Ladakh, may be that would be a nice trek. M4 : So you mentioned about the education industry in Kanpur? Is it right to say that education is becoming like an industry? I mean the coaching centres, is it a fair thing. Me: Sir, I agree that commodification of education is not a right thing to do. But by industry I meant that the coachings do fetch us revenue. M4: Who is the ‘us’? And what type of revenue? Me: Sir, I mean the administration. And they do fetch us service tax and property tax. M4: So, do you support the coaching institutions? Me: Sir, for a student who he is new to the exam ahead, coachings do act as a guide and assist in preparation. On the other hand they do create a divide between those who can access these facilities and those who are deprived of this advantage. So, we need to strengthen our basic education to create a level playing field. M4: What would you do strengthen government education? Me: Sir, I would have regular assessments and focus on the teacher quality. M4: Are there any such assessments already happening? Me: Sir, I am not sure. Me: Yes sir. (i did not argue further though by assessments I meant class tests for student evaluation). M4: You have heard of the poverty line, have you heard of something called the empowerment line? Me: No sir, I have not heard of this. M4: Let’s say I were to create an imaginary empowerment line, what do you think would be its parameters? Me: Sir, the criteria for poverty line is economic based on consumption pattern and calorific values. But, the empowerment line would have parameters like access to health, education, labour foce participation, economic independence and political independence. M4: If the number of people below poverty line is 200 million then how many do you think will be below empowerment line? Me: Certainly much more. Because even if people are above the Poverty Line, they are dependent, not empowered. M4: What do you think we need to empower people – a universal health care or Right to Food? Me: Sir, I think its not the question of ‘or’ but its a matter of ‘and’. Looking at our current situation we need both. CM: Neha, some people are born great, some people achieve greatness and some people have greatness thrust on them. What do you understand by this? Me: Ma’am, there are some people who are born with a silver spoon in their mouth, who do not have to do much to achieve greatness, whereas others through their efforts and persistence acquire skills and expertise which make them great-these belong to the second category. But, some people are so noble and so sincere that they don’t have to make any effort to be great. Greatness automatically comes to them. CM: but doesn’t thrust sound derogatory. Me: Yes ma’am, it might sound that way but I take it in the positive sense. Me: Ma’am, it might sound a little arrogant, but for me winning is about not being defeated. Picking myself up each time I fall down. I always say to myself.. Neha, you are born to win, how can you accept defeat, it is a sin ! CM: Your interview is over. You may leave. Me: Thankyou ma’am. Thankyou sirs. Q. Was your interview on the expected lines of what you had prepared or did they ask you totally unexpected questions? Was it a stress interview, did they ask any uncomfortable questions? If yes, how did you handle it? Since my interview was on the first day itself most of the questions were from my DAF. There were a couple of questions where I was caught unaware but I excused myself from those. No, It was not a stress interview. Make sure to carry your eye power prescription if you wear spectacles. Any local opitician’s card specifying your power also works equally well. First of all I believed I would get selected. I honestly did not have a PLAN B. Infact even after my interview I was reluctant to study again for the next attempt. But as I believed I was on the path of my mission, I intended to get involved with a school or NGO or open one myself. Optional subjects do create an unlevel platform. Computer Science Graduates like me have to suffer as we pick up entirely new subjects. Many a times humanities subjects like Sociology, Political Science or Public Administration. Although it is interesting to study all this new stuff, the marks really disappoint. If you look at the top 3 rankers this year, their subjects are Economy, Law and Zoology – obviously chosen from their professional field. Their marks in optionals are well above 260. Even on writing the best answer a Public Administration, sociology or political science other candidates cannot dream of such marks. I myself have scored (98+110) in my optional. Thus easily creating a minimum divide of 50 marks which naturally affects the rank. Optional subjects, therefore, should be removed in favour of a fair competition. Q. Despite what UPSC has done in recent years, it has failed to curb the nuisance of Delhi’s coaching factories. In fact it’s increased under the new syllabus in 2013. Let’s face it, most toppers have relied fully or partially on (authentic OR Xeroxed) coaching notes because there was hardly any time left to prepare so many topics in such short time. This system work against an individual preparing from far-away area, without any financial resources or contacts in Delhi. Definitely, coaching centers are blooming. 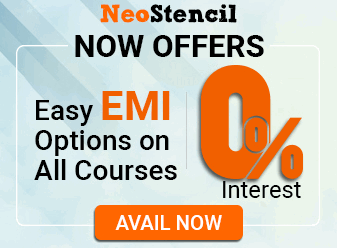 The new syllabus has led them to increase their fee amounting to more than a lakh per student! For someone who cannot afford such a luxury, it’s a clear disadvantage. But more and more people like you (Mrunal) are helping students to prepare on their own. I would want to congratulate you on your efforts and the great work you do. Q. UPSC should disclose official prelim answerkeyand cutoffs, immediately after prelim is over, instead of postponing it till interview phase is over. They have a procedure and I respect it. Atleast they reveal the marks now. Earlier they would not do even this. Reforms are only gradual unless you are calling forth a revolution. The credibility of CAT exam after the online version was at stake and many aspirants are from a rural background. A level playing field has to be created, all the complexities of an online exam have to be looked into before taking such a step. Too early to be able to consider myself worthwhile for such a responsible position. Many factors have to be accounted for including opposition of candidates in form of protests and cajoling politicians. I would suggest to reduce the number of attempts or else there is always a desire to take one more attempt and the cycle continues. UPSC is more addictive than gambling. We are simply increasing the number of very talented but unemployed youth in our country. Easy for government to put us under the category of voluntarily unemployed. If you believe in yourself then the world will believe in you. Simply give in your best and forget any external comparisons. I am from a regional engineering college but never bothered about folks from IIT/IIMs. The exam has close to 1000 seats and there is place for every deserving candidate. If after much thinking you have chosen this path then stick to it and become a deaf frog. Hear no criticism; focus only on your destination; believe in the infinite potential which resides in you which is as vast as the universe itself. Never make this preparation an endless painful austerity. Enjoy each and every topic you are studying. Consider it adding to your personality. Remember the greater the mission, the greater the personality required to achieve it. Do not crib and complain, do not surround yourself with negative thoughts and negative people. This exam is only a means to a greater end. For each one the means can be very different. Find that one thing in which you can bring to play your abilities to the maximum and be the best in your chosen field of endeavor. Q. Many hardworking candidates have failed in Mains/Interview of CSE-2013. They’re feeling dejected. What is your message to them? After putting in all possible efforts not seeing your name in the list can be an earth shattering experience. My message would be to not lose hope. Decide whether you want to take another attempt or you would want to pursue some other field. But after you have decided, be firm and be committed towards your ambition (mission). Deeply introspect on what went wrong, whether it is your writing skills or writing GS-style answers in your optional, or whether you took essay for granted. Increase your knowledge base and also your soft skills like expressing your thoughts and communicating with people. Promise yourself that you will overcome all your limitations not only for this exam but to make you prepared for your life ahead. Lead a brilliant and victorious life and remain undefeated, no matter what. First of all I would want to thank my parents for making me what I am. Though not so educated themselves, they put me in the best of schools and raised me up like a son. My father, I would say, stands for woman empowerment. I would want to thank my friend who stood by my side every moment, being a constant mentor, pointing out my flaws and never letting me slip into carelessness. Without his support and help I would have treated my first attempt as a trial attempt. (I already feel like speaking for an award ceremony). I would want to thank my counselor friend who always reminded me of my mission and the reason I had taken up this path. I would want to thank my teacher (S.K. Mishra Sir) who placed his faith in me and assured me of a rank under 50 when I was so unsure of myself. I am sure there are many others who have been a part of this beautiful journey, I am bound to miss certain names. But I would want to point out the importance of positive motivation during the course of this preparation. It’s easier to believe in yourself when so many people believe in you. Yes, especially during initial months of my preparation when all the economy concepts were so alien to me. Mrunal came to my rescue. I used to refer this site mostly for economics, environment, industrial location factors and food processing related articles. Last year, your interview of Tanu Priya was a morale booster for me. But Articles like defence equipments (names of ships/aircrafts/missiles) etc. have always scared me. May be you can filter the long and exhaustive list or may be point out to the relevant ones. Then again, we never know what UPSC considers important. Good work done by you, Mrunal. All the very best. Yes, I had thought that Mains-2013 the GS 1, 2 and 3 would involve lot of 2, 5 and 6 markers like in the IFoS exam to give equal coverage to so many syllabus topics in each paper. Hence published all those defense, health, space-tech compilations. But in post-mortem, we can see that exercise was mostly fruitless gaddha majoori. Same goes for Hindu science tech compilation (as you pointed out earlier under prelim preparation). Anyways, great talking with you. Highly informative interview on how to prepare general studies and sociology optional. Thanks on behalf of the readers, we wish you the best on cadre allocation. Keep in touch. 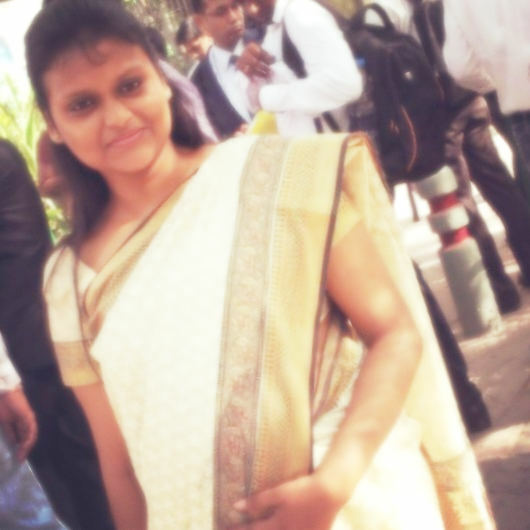 congratulation mam for your great achievement………………..
Hi… I am in just 11th comp sci. I got 90.80.percent.. I would like to be a ias officer.. What can i do? Fabulous interview. It is really a great achievement. U r really inspired us.feeling awesome to read your interview.many many congratulations Neha Mam. Very very congratulation Mam. Your interview was very good it was also help to us. Thank you so much Mam. Mam I just passed class 10 and in that I secured 80% marks. Mam please guide me . Which institute or academy will be the best for taking coaching for IAS…? And mam u r the student of which academy or institute ?